The Wii U launches in Europe on November 30, just a few days from now. And as expected, the first few people are already in line. 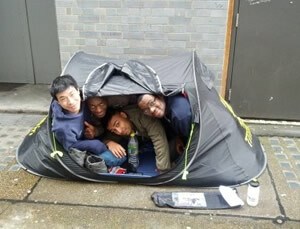 A group of Nintendo fans have queued up in London to be one of the first ones to get the new Wii U console. 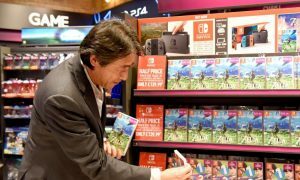 And it’s a good idea to get in line: Nintendo has said that Wii U supplies in the UK will be limited, and some have estimated that only about 25,000 Wii U consoles will be available on launch day. Several UK retailers have recently said that they could not guarantee Wii U pre-orders. UK retailer HMV is holding a midnight launch event in London, where the first 100 people will receive a free copy of New Super Mario Bros U and a Wii U goodie bag. But besides the first 100, it’s unclear how many consoles are in stock for those looking to buy one on launch day. The Wii U sold 400,000 units in North America during its first week on the market. It would have sold more, but inventory was severely limited. The new console launches in Europe on November 30 and in Japan on December 7.